18" Steering wheel. 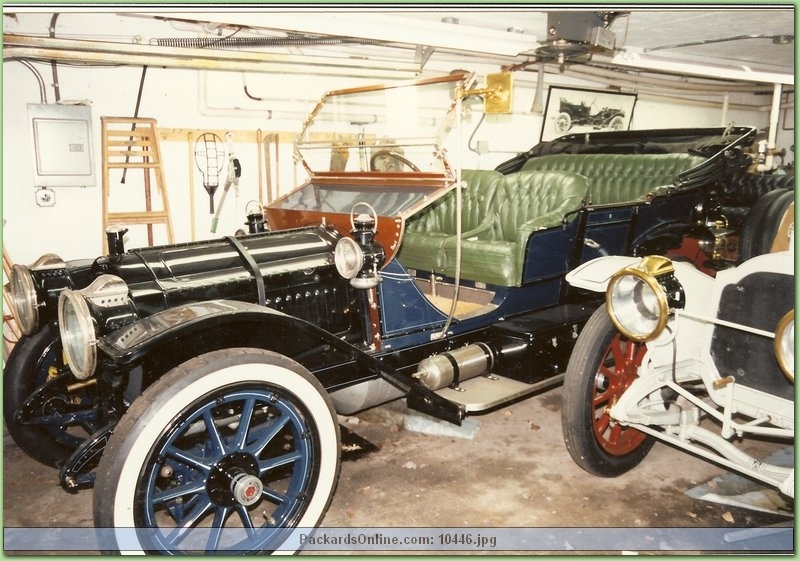 Harold Owens thinks this might be one of Art Austria's 3 early Packards. Radiator #9635 on left front ear. 1916 license plate (179390) was registered to W. R. Glass.